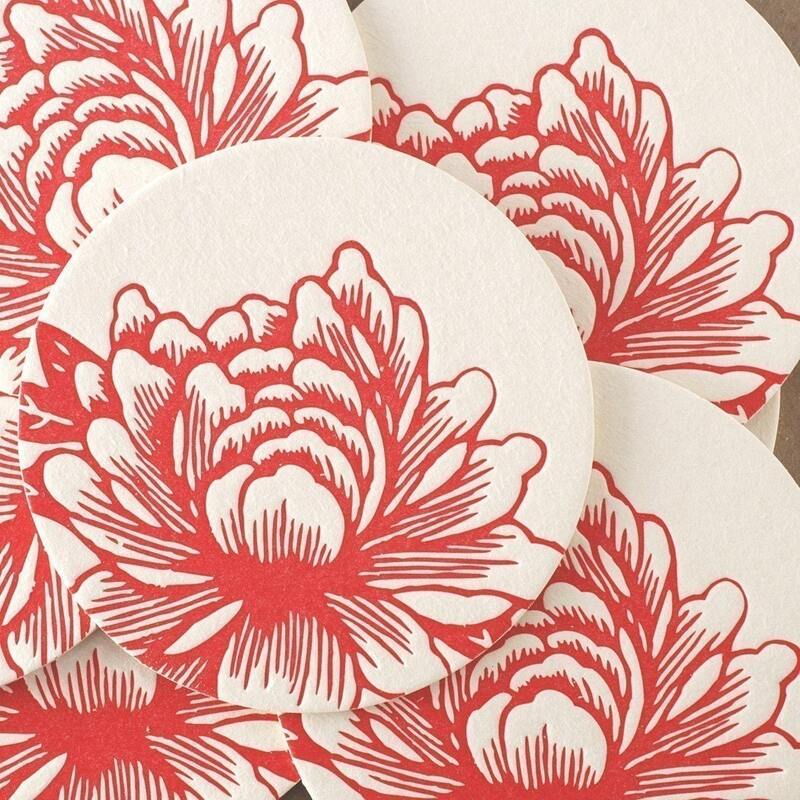 add something special to your table with these beautiful and original coasters. 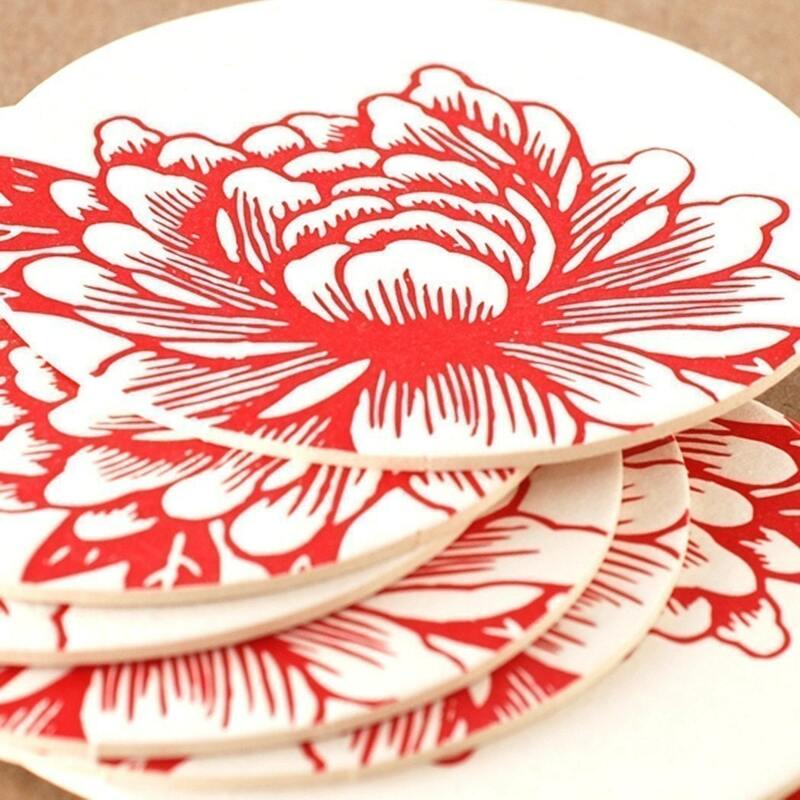 lovely for dinner parties or wedding decorations. 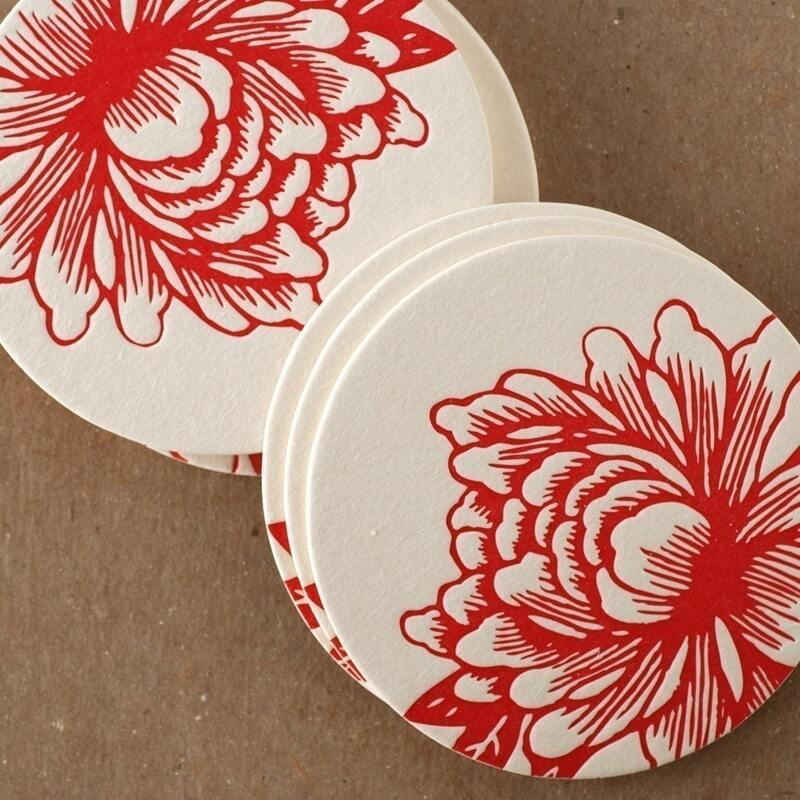 these coasters also make a great gift. 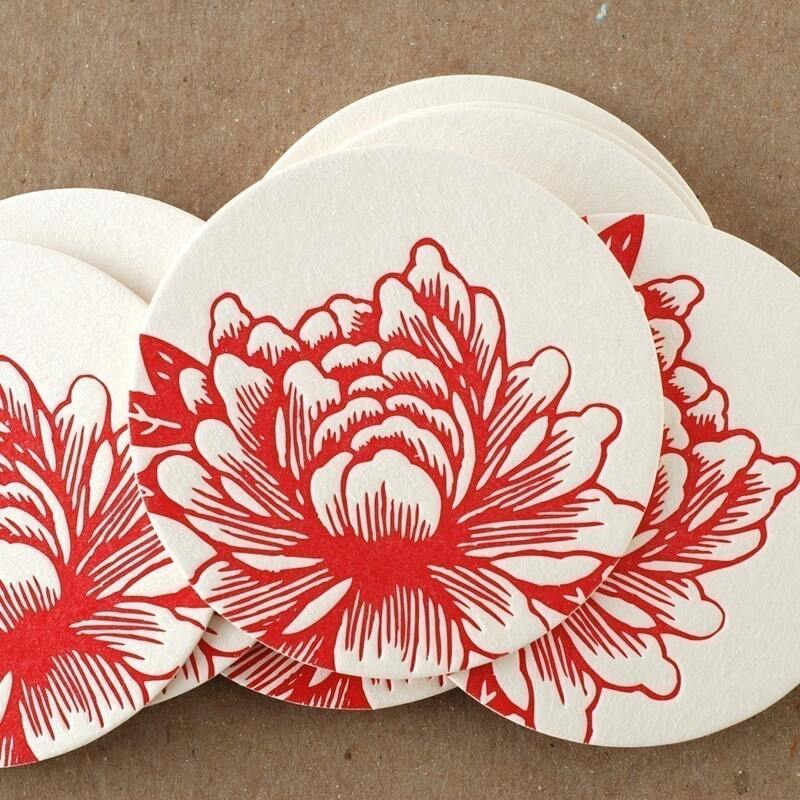 perfect for a friend, teacher, coworker, hostess gift, or stocking stuffer. 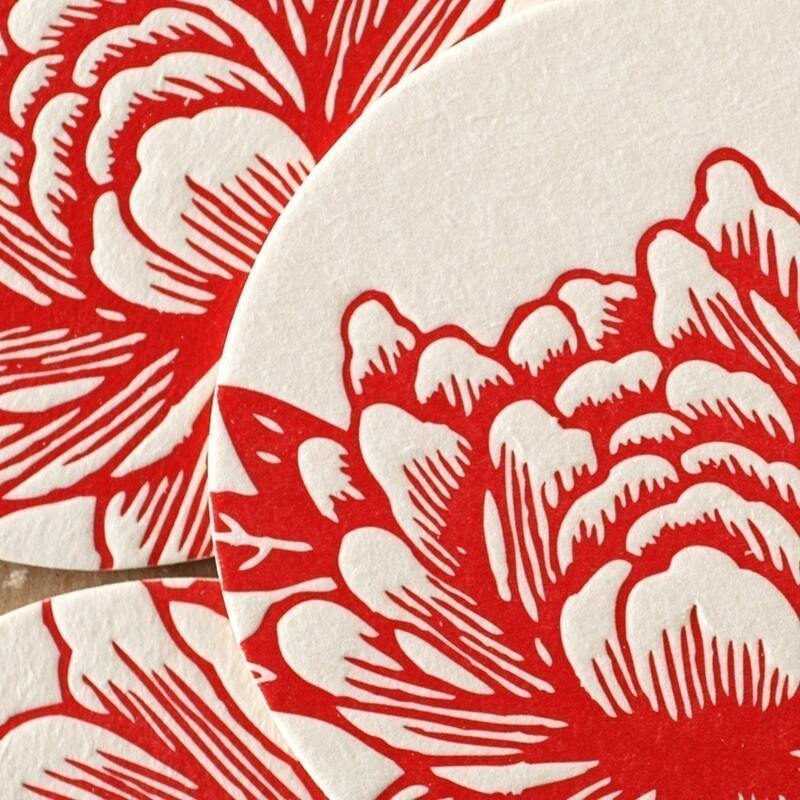 letterpress printed on super thick recycled coaster board in scarlet red soy-based ink. this item comes packaged in a kraft box + ribbon (ready for gift giving). coaster measures 3 1/2" round. this item is ready to ship within 1-2 business days. * as seen in Better Homes and Gardens, House Beautiful, and Ladies Home Journal.